Jump to video Where's spring? 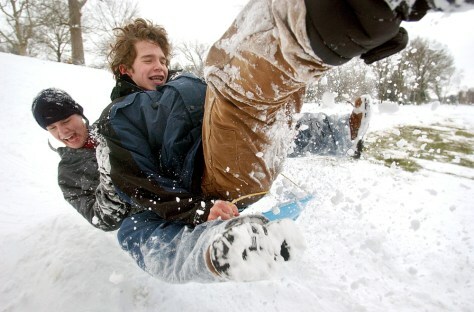 Nick Anderson, 16, and Zach Williams, 15, jump a small ramp made of snow on Tuesday in Terre Haute, Ind. The two were enjoying the weather after classes were canceled.